The tea comes from the shrub Aspalathus Linearis, which is on the slopes of Cape of Good Hope in South Africa. While locals have aware of the Benefits of Rooibos and been drinking it for decades, it only began being commercially traded in 1904. Now, it’s popular in Japan, Germany, Holland and England. According to recent studies, the tea has 50 times more antioxidants than green tea! Roobios tea is rich in two polyphenol antioxidants. These antioxidants help protect the body by fighting free radicals or unstable cells that attack healthy cells to stabilize themselves. These antioxidants have anti-inflammatory properties, which, therefore, assists in preventing heart-related illnesses. Finally, the antiviral properties a boost to the immune system, which helps protect the body from common colds, viruses and the flu. Rooibos tea is a natural remedy to help relieve and prevent hypertension. It works by lowering the blood pressure. Hypertension, commonly known as high blood pressure, occurs when too much blood is forced against the artery walls within the body. This may lead to health issues including heart disease. So drink up! Rooibos tea contains aspalathin, which has a hypoglycemic effect on the body. Aspalathin is a rare type of antioxidant that helps balance blood sugar and improves insulin resistance in the body. It may also promote glucose absorption in the muscles. These effects may help prevent drinkers from developing type II Diabetes. This is because the nutrient prevents the spikes in blood sugar that may cause type II Diabetes. Therefore, those with a family history of diabetes may especially benefit from drinking rooibos tea. Rooibos tea is rich in several important minerals required for hair growth. This includes zin, calcium, copper and potassium. Rooibos may help increase hair growth and strengthen hair fibers, resulting in healthy and strong hair growth. 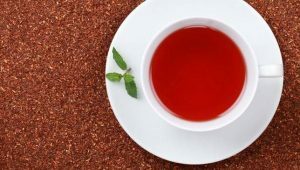 The tea may also help prevent hair loss, as its active ingredients help remove dead skin cells that may block hair follicles and prevent hair from growing. Furthermore, the anti-inflammatory effects of the tea may help relieve the symptoms of dandruff by soothing the scalp. The tea is rich in polyphenols, as a result, these ingredients promote shiny, soft hair and protect against sun damage. So, what do you think? Are you an avid drinker of rooibos already, or will you be trying it today? Get social and let us know on our social media!